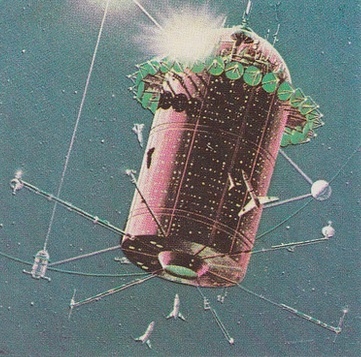 Communication in outer space is one of the pet projects put forward by communications engineer - and science fiction writer - George O. Smith in his 1942 story QRM - Interplanetary. Smith writes extensively about the need for solar system-wide communications. Update 14-Jun-1986 Here's an earlier reference to this idea; take a look at the Interplanetary Radiograph Station from On The Martian Way (1907) by Harry Gore Bishop. End update.